Are you new to sewing? Do you see sewing as a hobby? Or is sewing your career, such as running your own clothing store? 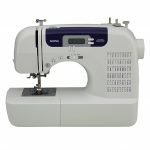 While sewing machines are generally easy to use, sewing machine repair can be a major issue to tackle. 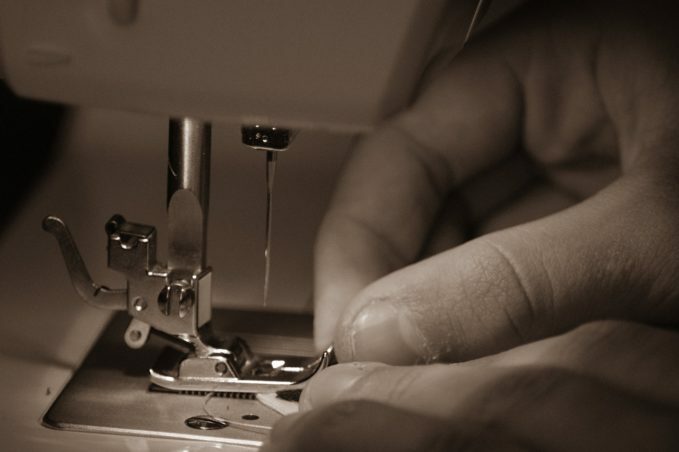 As an experienced sewer, you may be familiar with the way your sewing machine works. 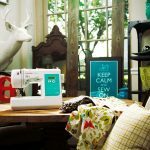 So the minute you hear strange noises or notice any parts working incorrectly, it’s time you take your beloved sewing machine to repair. But new seamstresses may not be familiar with sewing machine maintenance and how to look for issues. Read these 11 facts on sewing machine repair. Get that sewing machine fixed so you can go back to making fabulous clothes. A dead sewing machine isn’t a good sign. But fortunately, this usually doesn’t require sewing machine repair. 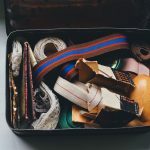 The issue may not even be with the machine itself; the issue could be with the cord attached to your sewing machine, or even the power in your house. Before you do anything, try resetting the circuit breaker in your house. If that doesn’t help, check and see if the cord is damaged. You may only need to replace the cord. You can also check for loose wire around the cord or broken pieces around the machine. The issue may be with the on/off switch. If you believe it’s the switch, you may need to contact a professional. When the needle doesn’t move, this means the hand wheel clutch is disengaged for bobbin winding. So the issue isn’t with the needle, but the hand wheel clutch. Use sewing machine repair and try to re-engage the hand wheel clutch. If the hand wheel clutch is fine, and the needle won’t move, it may also be the drive belt. The drive belt transfers motor rotation to the hand wheel and upper shaft. If the belt drive is broken, replace it. But keep in mind, a broken drive belt also prevents the hand wheel from moving. Make sure the handwheel doesn’t move when debating if the issue is with the drive belt. 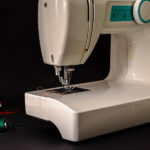 Have you used your sewing machine, and noticed it was making a noise similar to the sound of someone knocking on a door? This means your machine is poorly lubricated. When you hear this noise, oil the machine. And to prevent poor lubrication, start regularly lubricating the sewing machine. If you only use the machine sparingly, you only need to lubricate it once a year. But for avid seamstresses, lubricate the machine once every three months. If you haven’t used the machine in a long time, oil it up before use. Do you not know how to oil your machine? This doesn’t require extensive sewing machine repair. However, you should check your owner’s manual or contact the manufacturer. Every sewing machine has a different lubricating process. The bobbin thread is a very small and fragile part of the sewing machine. Therefore, breakage can be common and often requires sewing machine repair. Fortunately, you can install the bobbin thread yourself. First, clean the shuttle race. Lint and debris can accumulate in this region, and this can interfere with sewing. From here, you can re-install the bobbin thread. If the thread is still attached, route the bobbin carefully to avoid sagging or breaking the thread. Another tip when cleaning the sewing machine: get in the habit of cleaning the shuttle race. Even when the bobbin is properly attached, the shuttle race can still gather dust. When you plug in the foot pedal, make sure it’s fully plugged in. If the foot pedal is plugged in and the motor won’t run, the foot pedal is defective. Fortunately, you can easily replace a foot pedal. Does your motor make a buzzing noise? Don’t blame the foot pedal. Rather, blame the needle. A buzzing motor means the needle is jammed. Is your motor not running, the pedal is working fine, and the needle is properly installed? The issue could be your motor. Get a new motor ASAP. Hey, not every sew job is perfect. 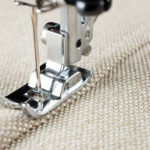 But if you regularly notice your machine is skipping stitches, it could be an issue with the thread or the fabric. When you use the wrong needle for a certain thread or fabric, it won’t sew correctly. The machine won’t be able to hook the needle to the thread, or the needle to the fabric. Have you used the same needle for an extended period of time? Dull or bent needles won’t be able to sew properly. Upper thread tension will also cause stitch skipping; the thread is so tight on the needle, tension will occur when the thread is in contact with the fabric. When this occurs, adjust the thread. It’s not uncommon for your sewing machine to lock up. This just means the excess thread is jammed in the shuttle race. You can lessen the tension by opening up the shuttle race and removing the thread. Dust and debris can also cause the machine to lock up. If the thread isn’t bunched up, try removing the thread and cleaning out the shuttle race. While you’re cleaning the shuttle race, clean the feed dogs because dirty feed dogs also cause machine lockups. If cleaning the thread and the dust isn’t helping, try oiling the sewing machine. There could also be issues with the needle timing. However, this requires assistance from a technician. It’s frustrating when the fabric isn’t moving, but this could be an issue with the settings. Is the stitch length set to 0? If so, the feed dogs aren’t able to move the fabric. You will have to adjust the setting so the feed dogs can move the fabric. What if the fabric still isn’t moving? The components in the feed dogs may be damaged. Are there any broken parts? Do you find loose screws? Fix what you can; you should be able to avoid a visit with a technician. You can also remove the fabric, turn on the machine, and see how the feed dogs are moving. If they’re moving fine, adjust their height. They could be set either too low or too high. Sewing machines are supposed to run quick and smooth. When they are sluggish, this means there’s a problem. Usually, a little oiling does the trick. Sluggish movement is a sign of improper oiling, as is a knocking sound. There could also be too much dirt and debris backed up. Make sure you always clean your sewing machine regularly to avoid any delayed machine movements. Do you oil your sewing machine regularly? And do you clean your machine often? Is it still running sluggishly? It could be in the belt or the gears. A worn down belt will make a sewing machine run slow, as will damaged gears. Replace the belt or gears if this is the case. 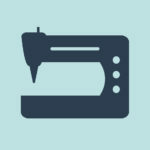 Does your sewing machine have broken or old parts? No worries — you can easily go into a sewing machine repair shop or contact your manufacturer. Some places may install the parts for you. But what if you have a vintage sewing machine? These beauties are easier to find than ever — you buy a vintage one cheaper at a thrift store, and it will last you longer than a newer model or a computerized sewing machine. But when you have damaged parts, it can be difficult to find them. Look at the manufacturer. If it’s a major brand that exists today, contact the manufacturer. They may still make the parts. If you can’t find the manufacturer, go to a specialist. They usually work at sewing machine repair shops. They may need to special order and install the part for you. Fortunately, most sewing machine repairs can be done yourself. And oftentimes, these require simple cleaning, oiling, and reinstallment. But there are major repairs that require a technician. Fortunately, sewing machine repair shops are still very common. If you’re unable to fix your sewing machine yourself, be sure to have a consultation with a technician. Inform them of the make and model of your sewing machine. Give your best description of why it’s not working. The technician will usually help you troubleshoot. If troubleshooting doesn’t work, they will ask you to bring in the machine. This is because it will require serious repairs. They also may do a full repair. This is when the technician looks over your whole machine and makes sure everything is working. 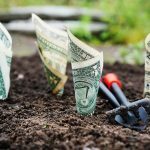 It may be more expensive than simple repairs, but this guarantees your machine will work in the long-run. Sewing is a fun hobby; you get to make your own clothes, design great gifts and fix those pesky loose threads. But it’s always annoying when your sewing machine runs into problems. Recognize these common issues and how to fix them yourself. Also, keep in mind, there are times when visiting a technician is useful. Be sure to visit our website for more sewing resources.